Unsure how to approach your wedding decorations? I have some useful advice for you to get started with. 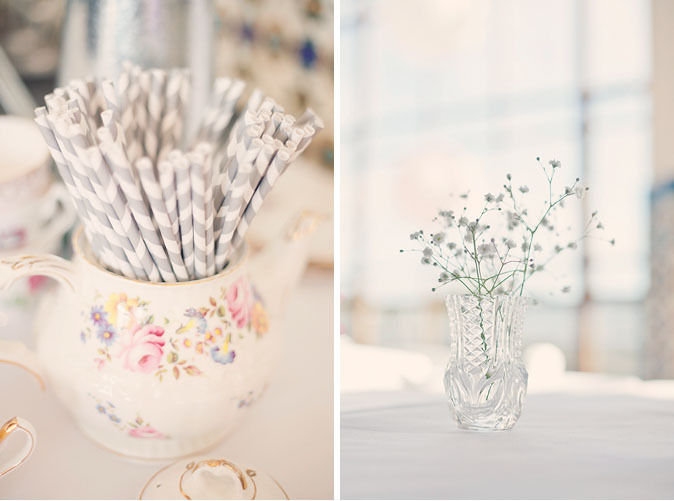 "Unsure how to approach your wedding decorations? Think of them as the icing on the cake that will give your wedding its unique flavour and reflect your personality. They need to blend in seamlessly with the venue and overall theme of your wedding, to bring it all together as a cohesive whole." "Your decorations should be memorable and leave a favourable impression on your guests, but that doesn’t mean they need to be expensive, or complicated. Just as you don’t want to over-accessorize and detract from your dress (or yourself!). The aim for your styling is to embellish the venue and surroundings, enhancing the feel of the occasion. In terms of table decorations, flowers will feature strongly at most weddings, so this is a good place to start and will lead you to think about the types of vases that will suit your flowers. Your style of wedding may lean towards simple modern glass vases, delicate crystal vases, vintage preserving jars, milk bottles or even decanters. 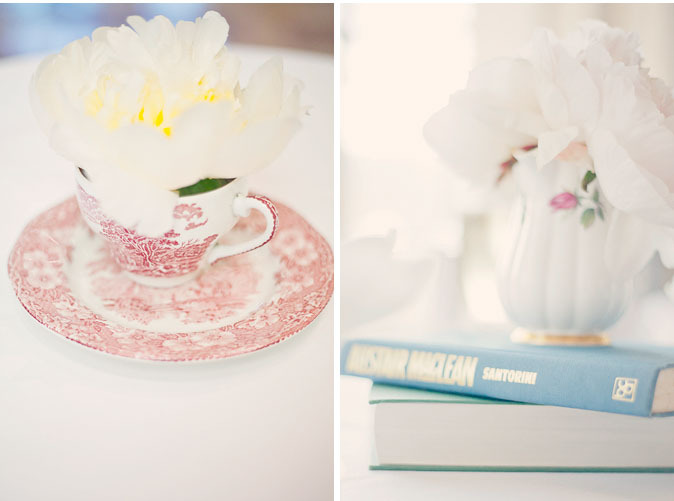 You might prefer the idea of using china teacups, silver coffee pots, or even small vintage tins. Add one or two more complimentary elements (eg: candles, sweets, old books, pebbles, driftwood, etc) that blend in with your theme to create interesting table centrepieces. The place settings are also a chance for you to express your personality. Don’t be afraid to step out of tradition and show a little creativity here." It’s a good idea to begin this process once your venue has been decided so that you have plenty of time to discuss and agree on the look you both want to achieve, and to gather/make/source your decorations. You may have crafty friends or family who will jump at the chance to help with these if things are getting a bit overwhelming (this could even be their present to you). Check out your local secondhand stores – you might find exactly what you’re looking for, or if you don’t fancy the legwork, another option is to go online to see what’s available for hire in your area. Don’t forget to ask your photographer to get a few shots of the set-up and finishing touches that you put so much time and effort into – this is probably best done before the action gets underway. While your guests will definitely appreciate the thought and effort you put into the styling, it’s important to try to keep the process fun." "Don’t get too bogged down in the detail, because at the end of the day…you know what I’m going to say… yes, it’s all about the two of you…GETTING MARRIED!" For more inspiration and ideas you might like to follow Summer on Pinterest or Twitter or find her on Facebook. Wanting more on wedding planning? Have a look at some of my other blog posts on wedding tips.